Cryptocurrency has slowly but surely become a popular alternative to the government-backed currencies we are all familiar with. Most people feel that digital money is safer, easy to access and more flexible than the traditional notes and coins we use every day. Bitcoin is one such cryptocurrency that has taken the world by storm and has become the most valuable cyber asset according to experts. However, the world of Bitcoins is not all rainbows and sunshine. Bitcoin wallets are susceptible to hacking, virus attacks, and other cyber-crimes. Here is a list of the top Bitcoin wallets that would keep your money secure. Coinbase is a popular platform that allows Bitcoin transactions in over 32 countries; it even comes with a wallet where you can store Bitcoins, Bitcoin Cash, Ethereum, and Litecoin. It is among the most user-friendly options on our list and is suitable for first-timers and professionals alike. It is an online wallet that gives you complete control and accessibility to all the security features the moment you log in. Everything is presented in a clear, concise and easy to understand. Users who want to store their bitcoins offline can install the Coinbase Vault. This hardware storage option gives you a greater deal of flexibility and control over your investment. 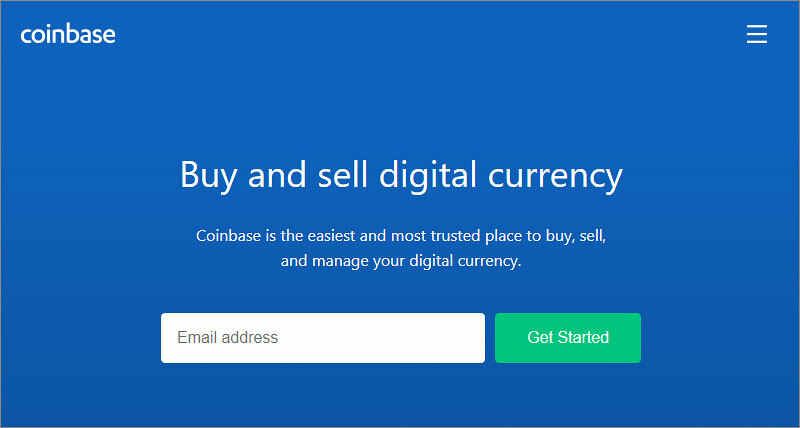 With Coinbase, you can buy, sell, hold and transfer cryptocurrencies and connect with your bank account in a few clicks. The Coinbase Vault is an advanced storage option that is great for storing bitcoins offline, comes with multisig functionality and enables you to gain complete control via public and private keys. What’s more, you can access your Bitcoins from any device and OS. On the downside, Coinbase is not suitable for storing large amounts of cryptocurrencies, as there have been complaints of security glitches and other bugs. 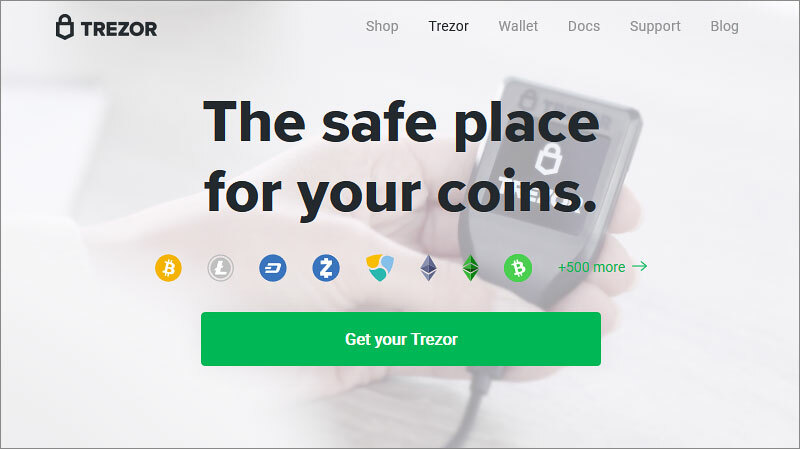 Trezor is for people who have a lot of money in their Bitcoin account and need a reliable and robust wallet to keep it secure. It was the first Bitcoin hardware walletoption that allowed people to store their cryptocurrencies separately. Hardware wallets give you more flexibility and accessibility to your money. You can carry it anywhere you want without compromising on its security. On the downside, hardware wallets are susceptible to theft and unauthorized access. You have to keep your money protected by public and private keys. Trezor is a popular option among investors; it is a compact, portable device that works pretty much as a USB drive. You can plug and play it on your computer, tablet or phone to access the Bitcoins. The application is compatible with multiple currencies and platforms incorporating features like two-way authentication, password protection, and other useful features. And in case, you lose or damage the device, all your data can be recovered and transferred to another wallet. All you public and private keys are available in one place making it easier for you to access them all. 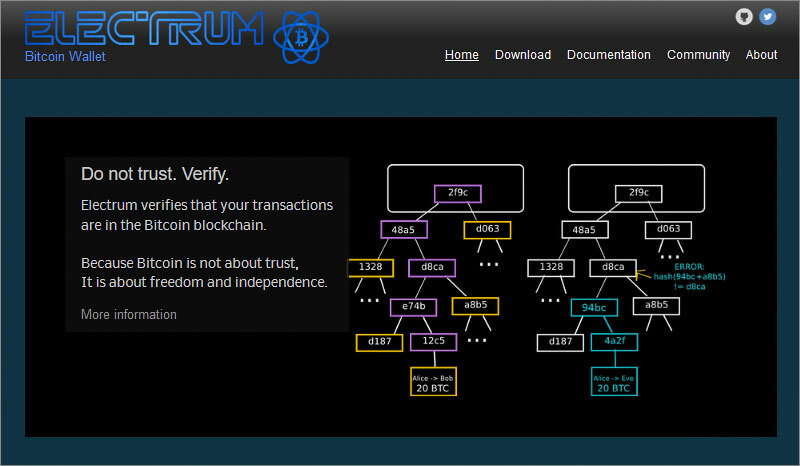 Electrum was created in 2011 and has become a popular, user-friendly option for Bitcoin investors in a short time. This trusted software wallet helps you overcome the glitches of its hardware counterpart. Unlike Ahardware wallet, Electrum cannot be physically lost or stolen. You can still access the platform from anywhere; carry your coins wherever you want without having to worry about securing your investment. However, as your coins are stored online in an application, your money is susceptible to virtual threats lurking out there. Also, Electrum can be a bit confusing for first-timers and is not compatible with any other cryptocurrency except Bitcoin. Electrum supports all the major operating systems like Android, Linux, Mac, and Windows. Unfortunately, there is still no storage option for IOS users. On opening the Electrum wallet, you’ll be redirected to your private keys that are encrypted and stored in your device. The public keys allow for faster accessibility and transfer. The two-factor authentication allows for a more secure login process, as you are always notified in case another device has logged into your account. The multisig facility allows you to split your bitcoins and store them in multiple locations. Electrum is a lightweight and lightning-fast desktop application that doesn’t take up a lot of your storage space. Blockchain.info is one of the best online Bitcoin wallets of the year and we’ll tell you why. For starters, it incorporates an advanced technology that gives you access to all your transaction records. And secondly, you can access your bitcoins anytime, anywhere and on any device. The platform is pretty similar to Coinbase - both are virtual spaces. The difference lies in the functionality of the two platforms. While Coinbase allows for easy transaction of bitcoins, blockchain.info is just a suitable storage option. Your coins are stored in a separate space, away from the marketplace. A blockchain is a great option for people who have the technical knowledge and experience in handling cryptocurrency. Blockchain has been around since 2011 and has incorporated several changes in its interface over the years. The current version supports multiple cryptocurrencies and is compatible with Android, IOS and Windows devices. You can link your mobile number to your account for regular updates and notifications about the transactions. It even allows you to back up the data separately for easy recovery. With blockchain, users can transfer bitcoins without any hassles. The interface is flexible and easy to use. 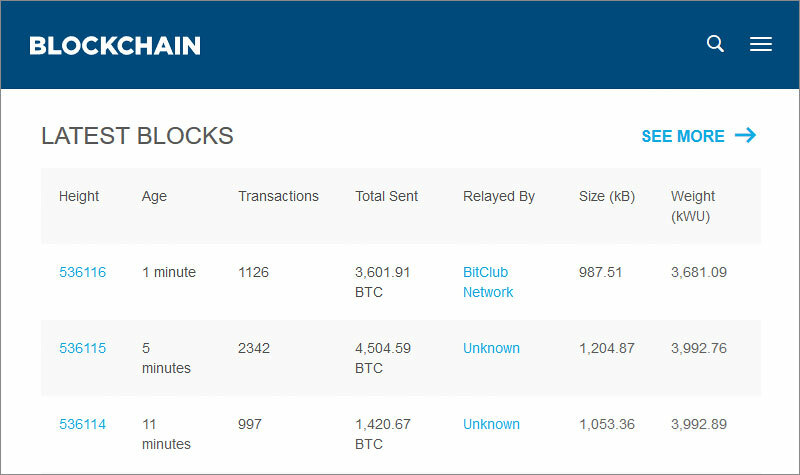 On the downside, blockchain takes up a lot of storage space. It keeps an extensive record of all your transactions and gives you a full report from even the receiver’s side. Exodus is one of the best bitcoin wallets for intuitive desktop applications. 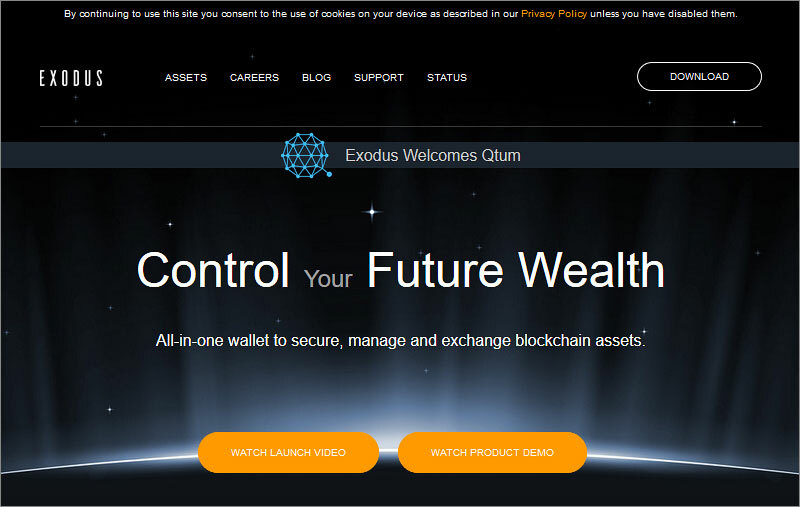 The platform is very similar to Exodus but is more aesthetically appealing and flexible than its peer. It is available for all Android, iOS, Mac and Windows devices and can support multiple cryptocurrencies including bitcoin, Bitcoin Cash, Ethereum, Litecoin, Dash. The interface is user-friendly, quick and hassle-free. You can even exchange assets using the ShapeShift feature albeit at additional transaction charges. Exodus doesn’t just store your bitcoins but also make charts and graphs on it to track the transactions better. You don’t have to create a separate account for storing your currencies either. All your bitcoins are stored on the computer; you do get private and public keys for extra protection though. The encryption of the private keys is also stored on the device, so you have to be very careful about the privacy. Another area where Exodus needs to work on is its customer support. The extensive online help center is not reachable, there is no dual-authentication setup and it does not have a mobile application. We suggest you use Exodus to store small amounts of cryptocurrency. Bitcoinis not a fool-proof investment. Before you put your hard-earned money on Bitcoin we suggest you check the risks involved. Sure, your money could double over the year and give you a massive profit. However, a simple miscalculation or complacency can wipe out your entire savings with a single click. Don’t just invest money because everyone else is doing so, understand the complexities of the platform before you take a step.